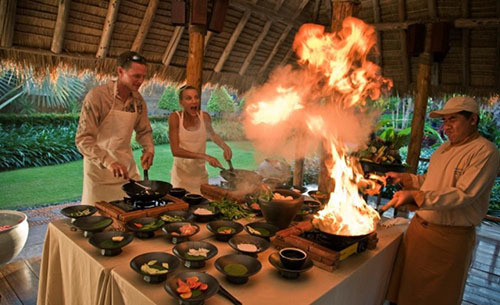 Your little ones may not be as keen on learning about the different kinds of Thai spices, or in whipping up a mean Thai curry, but fret not – there are fun-filled classes designed specially for the young ones. Suitable for children between the ages of five to twelve, the classes focus on preparing international favourites such as burgers, pizzas and Thai desserts. 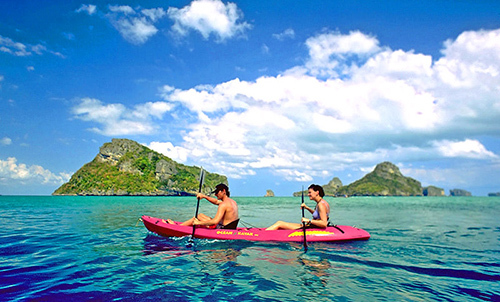 A vacation to Samui is not complete without a riveting exploration of the island’s coastal scenery. Hop on a speedboat, and enjoy cruising along the turquoise waters as you gaze out at myriad islands making up Angthong Marine National Park. 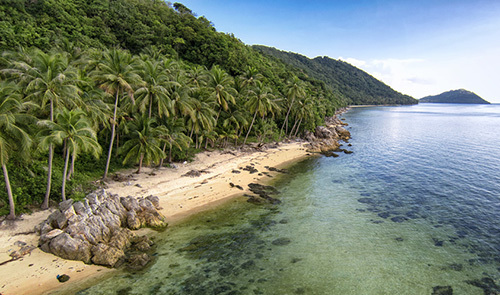 A full-day tour of the marine park will please nature lovers, for it presents multiple opportunities for snorkeling, diving, hiking and kayaking. Adrenaline junkies will not say no to a stimulating go kart adventure! 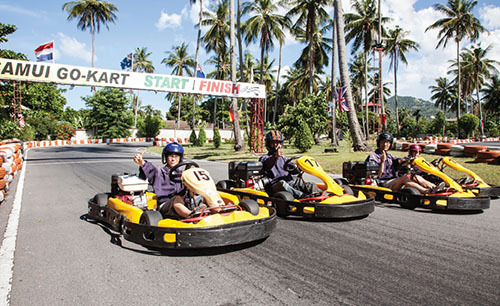 Chaweng, Bo Phut and Lamai houses a selection of go kart compounds with lengthy tracks presenting varying levels of difficulty. Those with young ones in tow can ride a double go kart, while thrill-seekers may opt for vehicles that can race at a swift speed of 100 kph. If you and your family members are on the search for some good ol’ rowdy fun, why not get into a combative paint ball fight? Don on your protective paint ball gear, pick a gun and be prepared to wage a war! 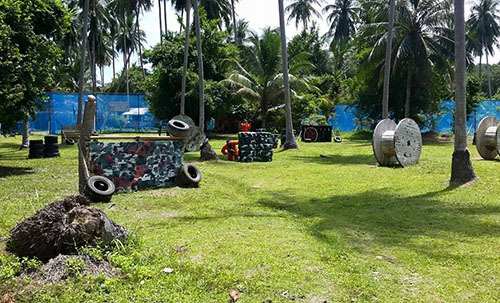 It is important that you pick a good battleground, so make your way to Samui Paintball Party. The commodious grounds and extensive selection of props set up the scene for an enthusiastic paint ball fight. 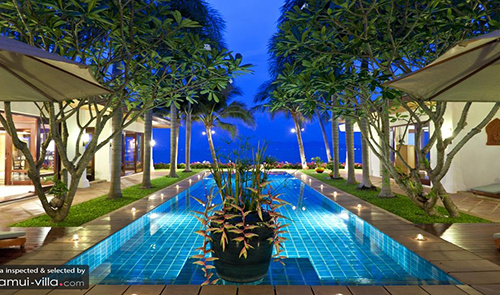 Villa travellers, put that sparkling pool and spacious pool deck to good use by throwing a family poolside party! Start off with a round of sundowners (or mocktails for the little ones) during the evening, sipping slowly at your drinks while you watch the scenic sunset. 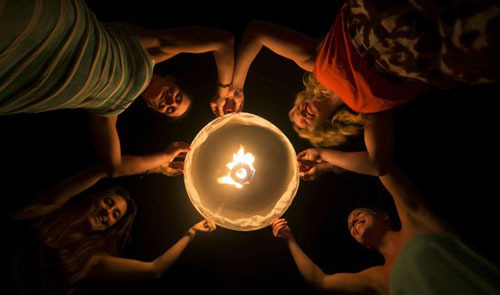 Next, let the experienced staff fire up a delightful barbecue, filling up the dinner table with a delicious spread of grilled delicacies. When the feasting is over, crank up the music player to set the stage for a night of poolside dancing! 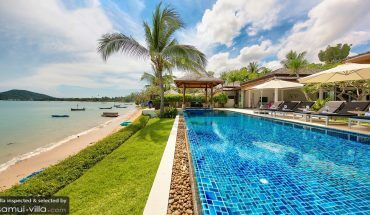 Take a look at our villas in Samui here.